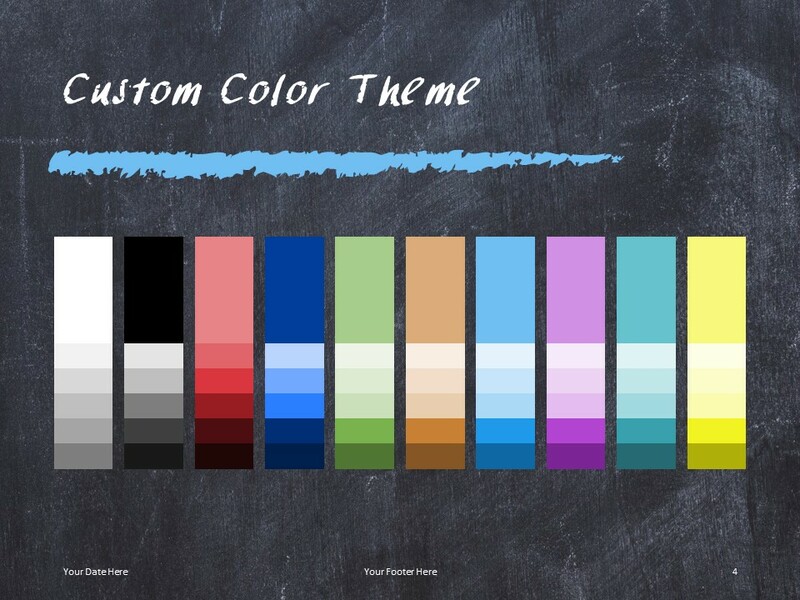 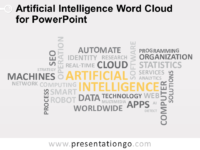 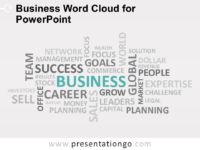 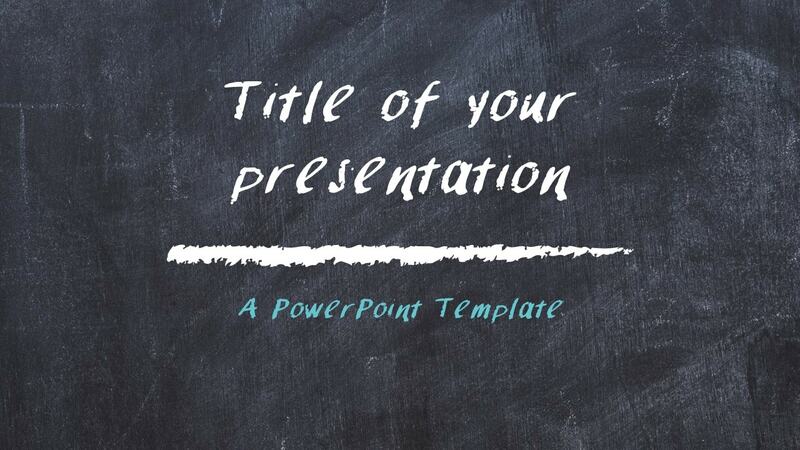 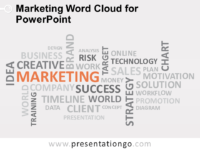 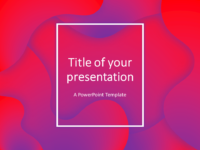 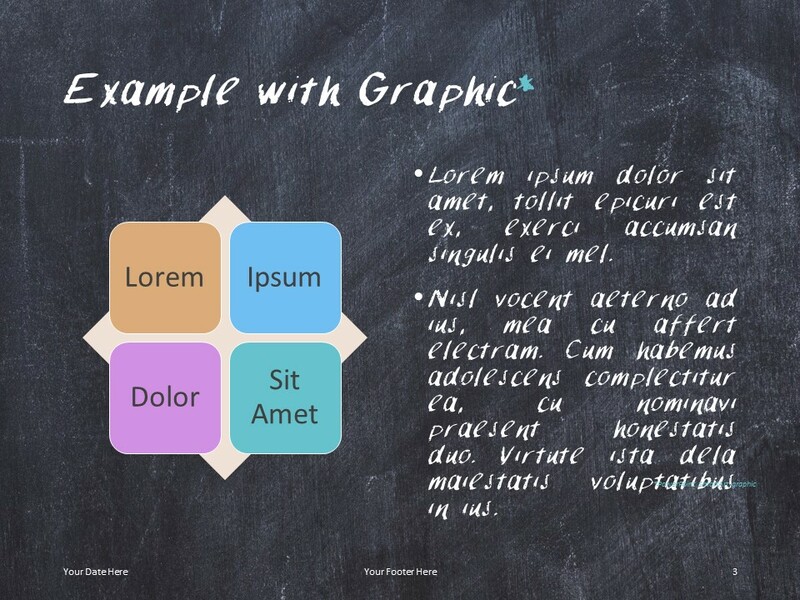 Free chalkboard PowerPoint template. 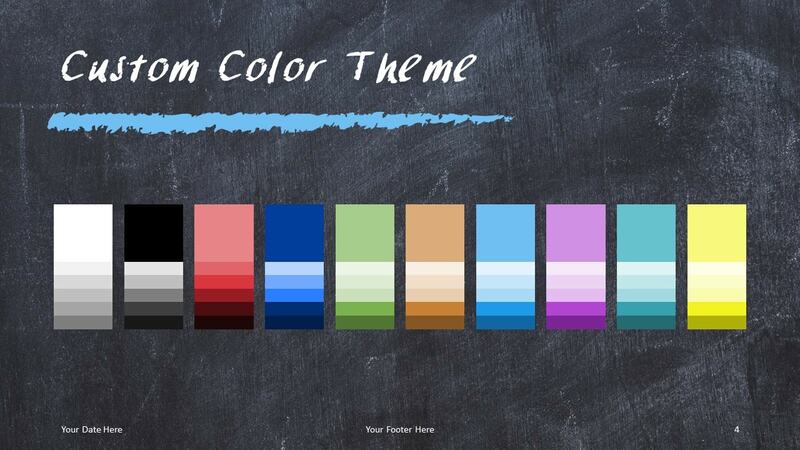 Template with plain blackboard or chalkboard as for background. 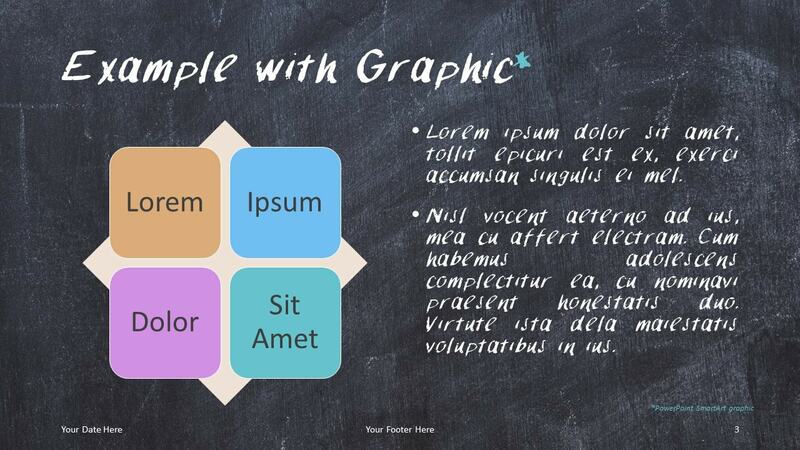 Great for educational and personal purposes. 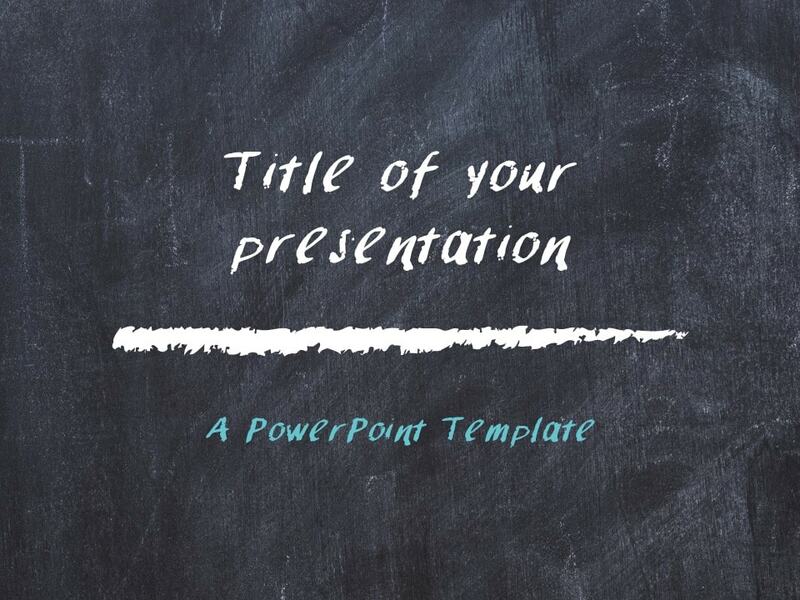 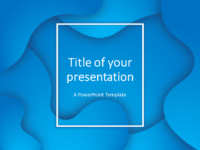 The presentation theme consists of 1 master slide with 1 ‘Title’ (cover) slide, and 1 ‘Title and Content’ layout slide. 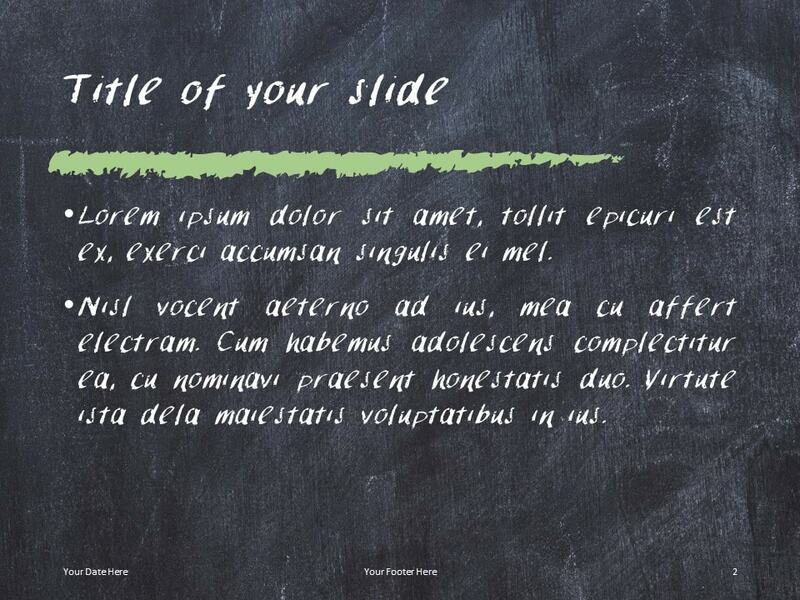 Comes with 2 extra slides: an example with a SmartArt graphic and the custom color theme palette (built in the PPTX theme). 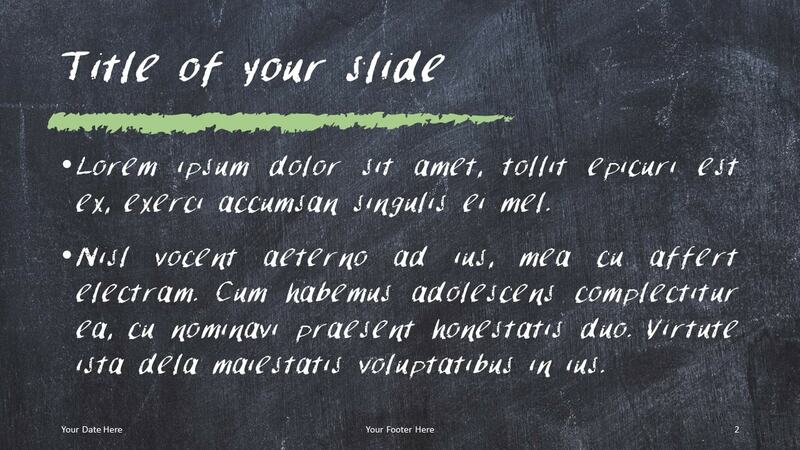 The chalk line is an editable element located in the master (View > Slide Master): easily change the color and the size, or just remove it – as needed.